MOSCOW, October 16. /TASS/. 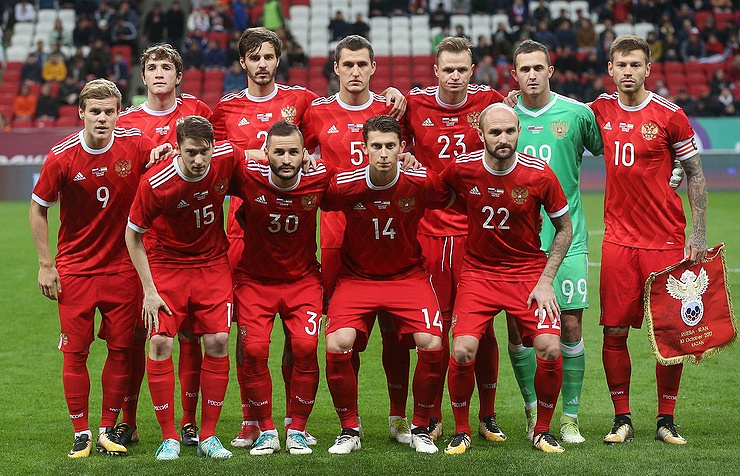 The Russian national team plunged in the newly-published monthly ratings edition of the world’s governing body of football, FIFA, to 65th place, which is a new record-low position in the ratings history for the Russian squad. Packing 563 points, team Russia dropped one rung lower than last month’s ratings and is squeezed between the team from Cape Verde Islands (64th place with 568 points) and Guinea (66th place, 552 points). The current frontrunners in FIFA’s top-ten rankings are reigning World Champions Germany (1,631 points), followed by Brazil (1,619), Portugal (1,446), Argentina (1,445), Belgium (1,333), Poland (1,323), France (1,226), Spain (1,218), Chile (1,173) and Peru (1,160). "Peru have climbed into the top ten of the FIFA World Ranking for the first time in an edition shaped by the latest decisive FIFA World Cup qualifiers," the FIFA said in its statement on Monday. "The Peruvians (10th, up 2 places), who have qualified for an intercontinental play-off against New Zealand to determine who will be heading to Russia next summer, were joined in the ranking’s upper echelons by Spain, who climbed from 11th to 8th on the back of an impressive conclusion to their unbeaten qualifying campaign," according to the statement. The next edition of FIFA’s ranking list is due to be published on November 23, 2017. 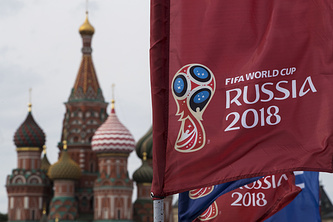 National teams around the globe have been playing qualifying matches to earn a place in the 2018 FIFA World Cup, while Russia as the host nation was guaranteed a berth in the world’s main quadrennial football event. Therefore, the Russian national team is playing friendly football matches in the run-up to the much anticipated 2018 FIFA World Cup. The main round of the global qualifiers for the 2018 World Cup has been already concluded and nine remaining vacant spots in the championship will be determined in the play-off round. The teams, which already qualified for the next year’s championship are hosts Russia, Brazil, Iran, Japan, Mexico, Belgium, Korea Republic, Saudi Arabia, Germany, England, Spain, Nigeria, Costa Rica, Poland, Egypt, Iceland, Serbia, France, Portugal, Panama, Uruguay, Colombia and Argentina. The matches of the 2018 World Cup will be held between June 14 and July 15 at 12 stadiums in 11 different cities across Russia. Two of the stadiums are located in the Russian capital of Moscow.